Free Patagonia Stickers & Catalogs!! 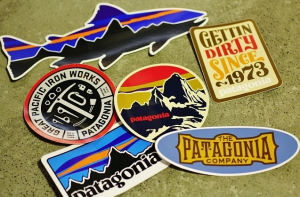 Fill out the short form HERE to request FREE Patagonia stickers and catalogs of your choice! Offer available to US and Canadian residents. I collect stickers and I LOVE your company! I was wondering If you would be interested in me representing your company. If so would you be willing to send some stickers to the address below? Also If you don’t mind, a conformation email would be great! My email is down below as well.Thank you so much for your consideration, I am so honored to do business with you! Thanks again!